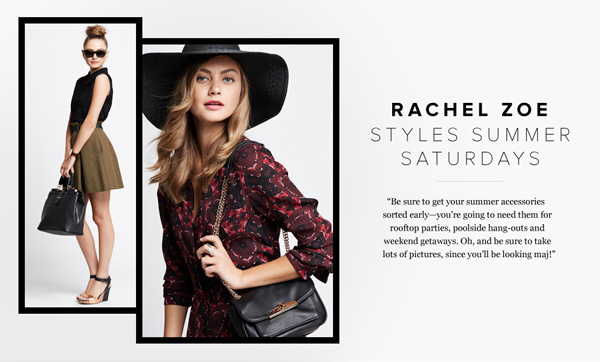 Rachel Zoe, the chief stylist of ShoeDazzle, has a new look book out that features fun styles for “Any Given Saturday.” Plus, ShoeDazzle and Rachel Zoe worked with Baby2Baby to donate a portion of the proceeds to families in need of proper baby gear. It’s easy to resort to purely comfortable style when meeting up for brunch with the girls, but comfortable can be chic, too. Women should use it as an opportunity to get a little fancy and Rachel recommends a metallic wedge as the perfect solution. Don’t leave shoes out of your swimming situation. Instead of throwing on your worn out sandals, take your pool time as an opportunity to brighten up your Saturday morning with bold colors. As Zoe points out, if you love your little black bikini, bright sandals are essential to your swim attire. 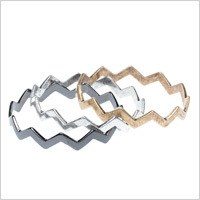 Don’t forget to experiment with simple jewelry to dress up your look even more. OK, so you’re not exactly a horse race kind of girl? Then rock this outfit to an outdoor barbecue or any social outing that involves sunlight, friends and fun. When it comes to the summer shoe styles, espadrilles are really versatile and have a light and flirty vibe. You can’t beat them! Dust off your gladiator sandals for a stroll through your local farmers market — they are an essential for the bohemian look that we all love, and according to Rachel Zoe, they are a must-have shoe for warm weather. As great as dresses are, sometimes a girl just needs her skinnies and stilettos.